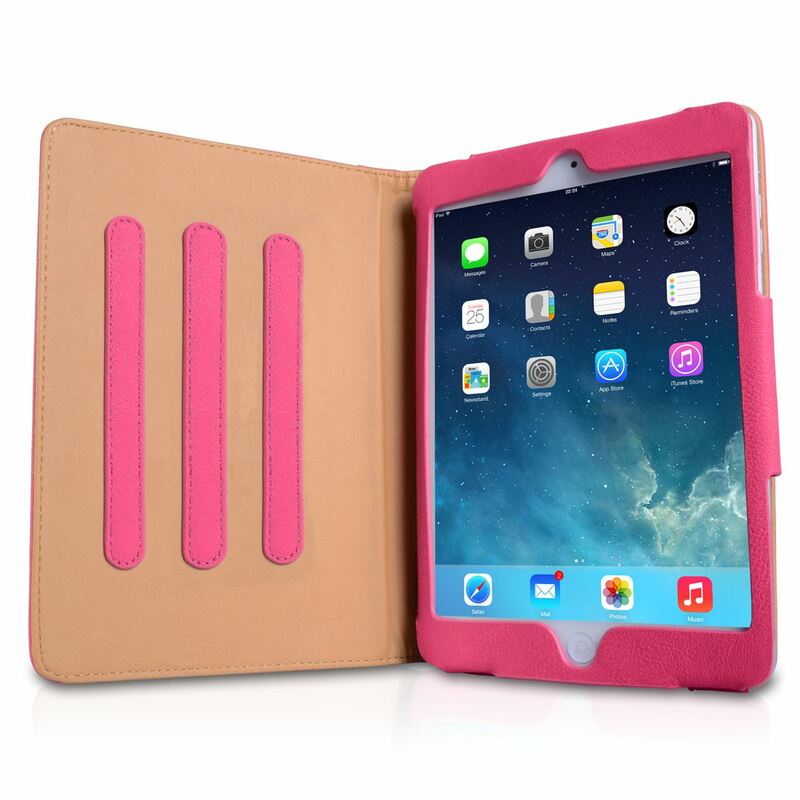 This iPad Air Mini 2 Leather Effect Stand Case is manufactured from polyurethane; a synthetic material that successfully recreates the look and feel of traditional leather. 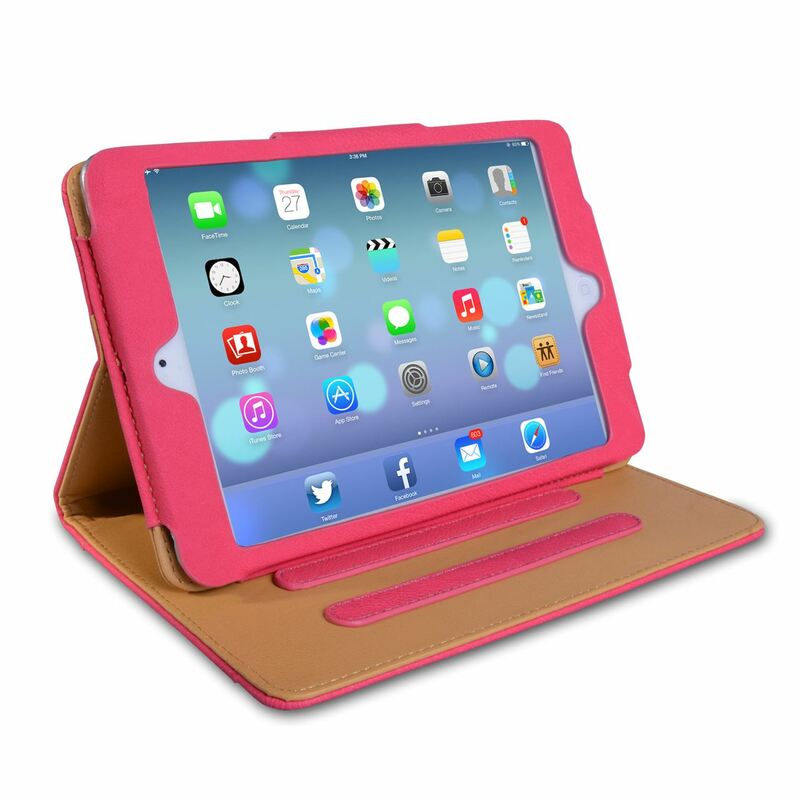 Your iPad Air Mini 2 sits snugly within a perfectly pitting cradle and a magnetic tab ensures the case stays safely closed over when not in use. The andlsquo;bookandrsquo; design ensures all parts of your tablet are shielded and the front section folds back to provide a useful stand.